Who will take care of these medical bills? How can we hold the insurance company responsible for payment of everything that I'm entitled to receive? Can I sue the insurance company for my accident? Does your firm handle car accident cases? Ultimately, the driver at-fault in a car accident is the driver who did something that a reasonably prudent driver would not have done and caused an injury. 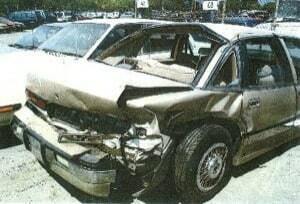 In most car accident cases, fault is not a big challenge even when the insurance companies pretend there is a real dispute over who is responsible. When a texting driver rear ends you at a stop sign or an inattentive driver blows a red light and broadsides you, there are rarely significant disputes about liability. When you have the best car accident lawyers on your side and they are attorneys known by the insurance company, the car accident lawyers will quickly shut down the silly defenses the insurance companies often raise to avoid responsibility. Usually, the bigger issue is the amount of compensation the victim should get. This answer ranges wildly depending on the severity of the injuries and the ability of your lawyer to articulate why you should get more for your injuries. Some medical bills can be paid immediately through the driver's own PIP policy. Most people do not believe they have a PIP policy, but the vast majority of Maryland drivers carry this coverage. In cases where the medical bills exceed the PIP policy, the expectation is that your outstanding medical bills that were not paid by insurance will be paid out of your settlement. The problem is that the bills are often, at least technically, due before you get a settlement. How do you hold off efforts on collection of these bill before you get your settlement? The answer depends on the provider. If you are a Miller & Zois client, many healthcare providers we work with regularly will wait to receive payment. Hospitals are generally more difficult. But in the vast majority of cases, our law firm can forestall collection efforts by working with the healthcare providers and cajole them into waiting for your settlement. We flush out this issue more fully here. The best ways to make sure that the at-fault driver and their insurance company are held responsible are to listen to your body, listen to your doctor, and hire the best auto accident lawyers in Maryland that you can find. You do not directly sue the at-fault driver's insurance company in Maryland. You sue the driver. The insurance company will pay any settlement or judgment up to their insurance policy limits and will provide the at-fault driver with a lawyer to defend the case. We get deeper into the weeds of this issue here. But our case is valued based on the type of injury and the type of accident. There is no settlement formula that you can punch into a calculator to determine the value of a case. Ultimately, the answer to the value of a case lies in the victim's medical records, the insurance policies implicated, and the applicable cap on damages. The reflex of every personal injury lawyer is to say, "Of course, you need a car accident lawyer to handle your case." The real answer is more complicated. If you have a serious injury or wrongful death case, it is foolish not to hire a lawyer to protect you. Experienced counsel at your side can make the difference. In smaller accident cases, the answer is more complex. There are some cases where the injuries are minor enough where proceeding without a lawyer is a reasonable path even though the risk of making a mistake that is fatal of your case is much higher. What should you do? We dive deeper into this issue here. 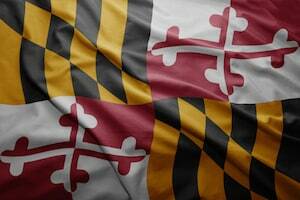 Miller & Zois handles car accident cases in Maryland. Other firms may handle more cases than us. But we do not think there are many, if any, law firms handling as many serious injury and wrongful death cases as we handle. Our car accident lawyers are located in Baltimore. But, if you are anywhere in Maryland or Washington, D.C., our lawyers will come to you. If you have a serious injury auto accident case, you do not want to be limited by geography. You want to find the very best accident lawyer that you can. Our lawyers are available 24 hours a day to take your calls and online questions. Call us at 800-553-8082 or reach out to us online. How to negotiate with specific insurance companies?